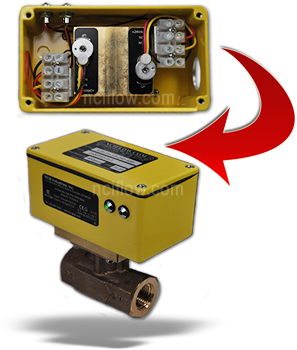 RCM flow switches provide an economical solutions for equipment protection and automation. Our general purpose reed switches make or break contacts by detecting the position of a magnet permanently attached to the bellow. Our reed switches can also be ordered for use in hazardous location (Option IS), when fitted with LED’s (Option LED) it provides viewing at a glance when flow rate goes below or above the set point and makes field calibration easy. Contact Rating: 10 Watts, 175 Vdc max. 125 Vac max. Select a switch with a maximum flow range greater than the required switch point. 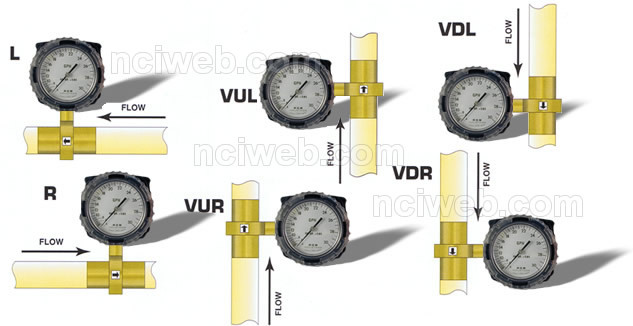 Best performance at minimum pressure drop occurs at approximately 50% of maximum flow range. 1 – threaded units provided with FNPT connections standard. 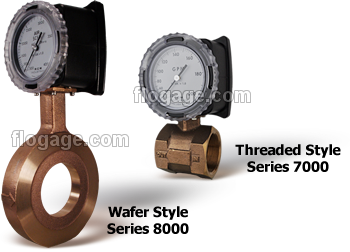 FBSP parallel threads available on request for bronze meters. 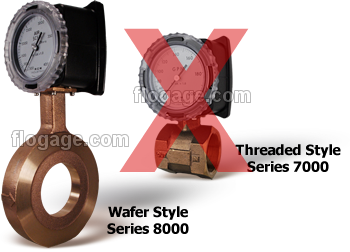 2 – wafer units mount between any standard 150 or 300 class flanges (or international equivalent). 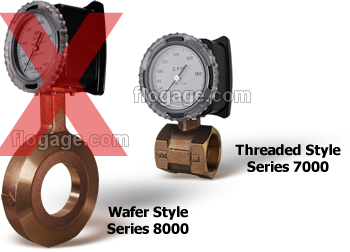 (maximum) – Select from Standard Flow Ranges and Sizes, page 2. Prefix full scale with “M” for metric units. G) IS – Intrinsic Safe Approval (Included w / 1S2 or 2S2 Only). H) LED – Light Emitting Diode (optional no charge). Hysteresis 7 to 13% FS. Voltage 100 vdc u2013 max.